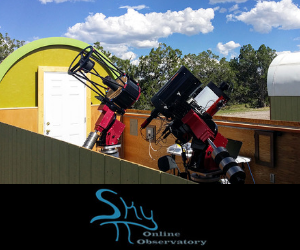 Now that the ATEO Portal (that allows online access to the Astronomical Telescopes for Educational Outreach) has been completed and is fully operational, the crew at Insight Observatory scheduled multiple imaging runs on ATEO-1 for testing. Rather than image popular, brighter objects such as M31, the Andromeda Galaxy, and M33, the Triangulum Galaxy, both used around the time of first light, a few lesser known deep-sky objects became the targets for this portal test run. 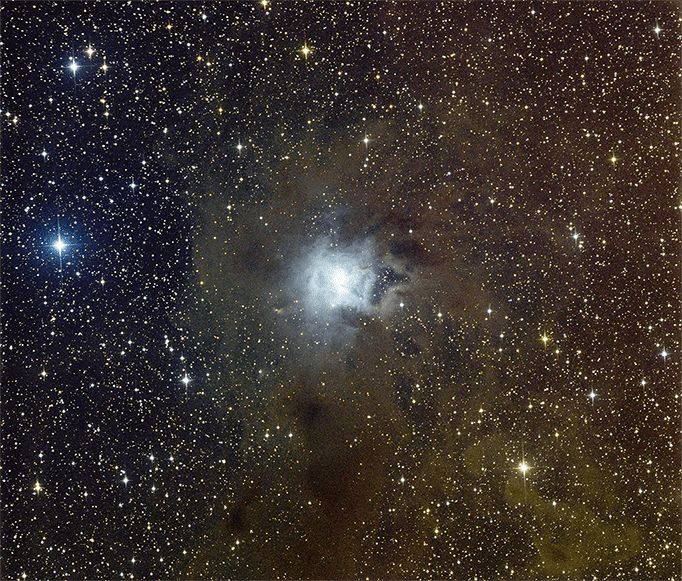 NGC 7023, the "Iris Nebula" and NGC 7380, the "Wizard Nebula" were the picks for this automated run on the ATEO Portal. NGC 7023, the "Iris Nebula" imaged via the ATEO Online Portal at 300 seconds LRGB (Binning 1 for L / 2 for RGB) Image by Insight Observatory on ATEO-1 - 16" f3.7 Astrograph imaging telescope. The "Iris Nebula", also known as NGC 7023 and Caldwell 4, is a bright reflection nebula and Caldwell object in the constellation Cepheus. NGC 7023 is actually the cluster within the nebula, LBN 487, and the nebula is lit by a magnitude +7 star. The nebula shines at magnitude +6.8 and it lies 1,300 light-years away and is six light-years across. This reflection nebula can be fully appreciated through astrophotography and imaging, as seen in the 5-minute image above. The dominant color of this reflection nebula is blue, with interstellar dust lit up by the central young star. 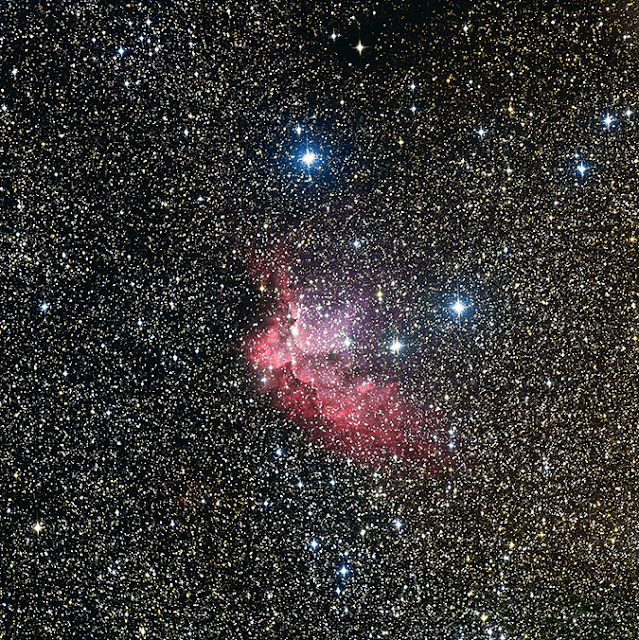 NGC 7380, the "Wizard Nebula" imaged via the ATEO Online Portal at 300 seconds LRGB (Binning 1 for L / 2 for RGB) Image by Insight Observatory on ATEO-1 - 16" f3.7 Astrograph imaging telescope. The Wizard Nebula, also known as NGC 7380, is an open cluster discovered by Caroline Herschel in 1787. William Herschel included his sister's discovery in his catalog and labeled it H VIII.77. It is also known as 142 in the 1959 Sharpless catalog (Sh2-142). This reasonably large nebula is located in Cepheus. It is extremely difficult to observe visually, usually requiring very dark skies and an Oxygen-III filter. Located 7200 light years away, the Wizard nebula surrounds developing open star cluster NGC 7380. Visually, the interplay of stars, gas, and dust has created a shape that appears to some like a fictional medieval sorcerer. The active star-forming region spans about 100 light-years, making it appear larger than the angular extent of the Moon. The Wizard Nebula can be located with a small telescope toward the constellation of the King of Aethiopia (Cepheus). Although the nebula may last only a few million years, some of the stars being formed may outlive our Sun. 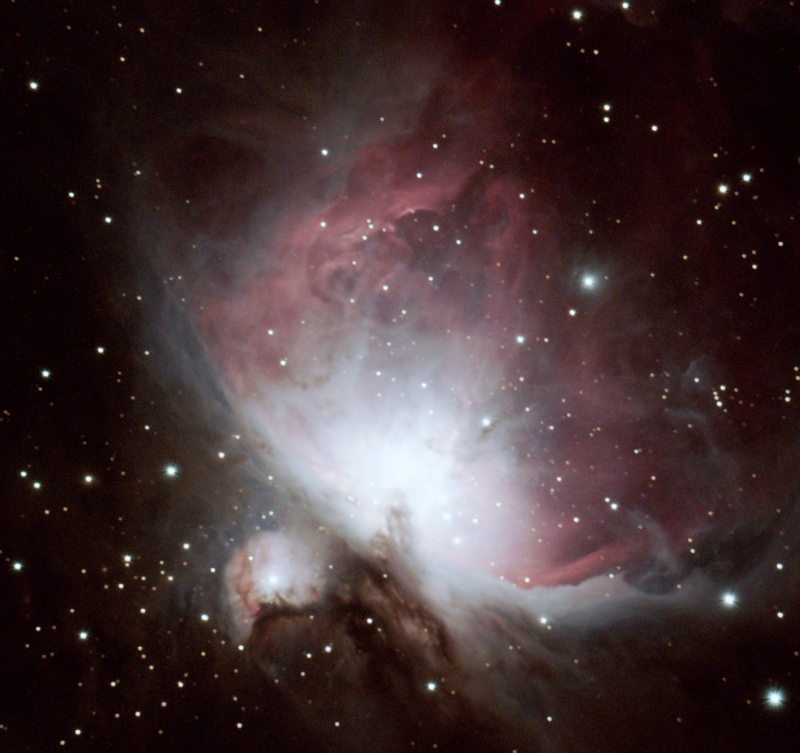 Short timed exposures like these can surprisingly bring out so much detail with this telescope and imaging system and make it ideal for educational exercise as well as personal use. If you are interested in taking images like this with our newly released remote telescope portal, please view our recent instructional video on how to sign up for an account.